​What does it take to build a brand or manage millions of dollars of infrastructure? We’re going to hear from 2 of Australia’s most successful business leaders on their experience as business women in very different fields. Learn about the challenges Anastasia has faced and the obstacles she has overcame to succeed. Join Us for a fantastic 3 course sit down lunch and drinks with lucky door prizes on the day as well. This is an event for men and women. Don't miss it. As Chief Financial Officer of The GPT Group, Anastasia is responsible for capital management, financial reporting, accounting, tax and technology. 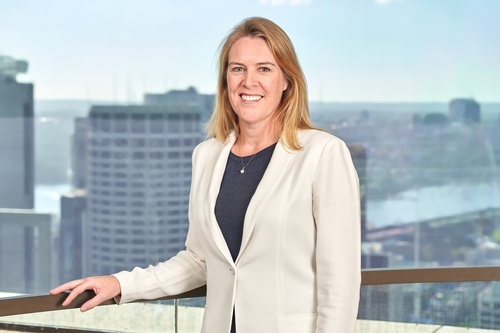 Named one of Asia's 25 Most Influential Women in Finance & Treasury in 2015, and with over 25 years of experience in the real estate industry, Anastasia’s past roles include Chief Financial Officer at New City Australia and Singapore, Treasurer and Head of Finance at Dexus Property Group and corporate treasury and project finance roles at Lendlease. Anastasia is President of the Property Council’s Capital Markets Division and on the Board of Directors of the Property Council of Australia. Anastasia is a Fellow of the Australian Society of Certified Practicing Accountants, a Fellow of Chartered Accountants ANZ and holds a Bachelor of Accounting from the University of Technology, Sydney.